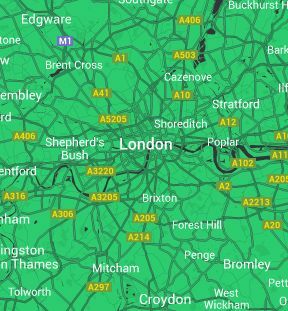 Use our London tree care service to keep all the trees in your garden in top condition. Make sure that dead wood is removed to prevent it from becoming a reservoir of fungal spores or other diseases. From sapling to mature specimen we’ll take care for your trees throughout their lifespan. Prevention is better than cure, for trees as much as people. We’ll provide general advice on keeping the trees in your garden healthy. When you see signs of disease or fungal growth, call us straight away. Early treatment is much more likely to be successful. Overgrown gardens are more likely to harbour disease, so on occasions you may want to combine a tree care service with garden clearance. This will ensure that all your plants have room to breath. 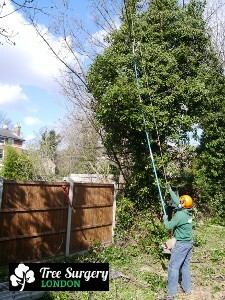 The tree surgeons also work alongside our gardening services team when you’re seeking landscaping or design work. 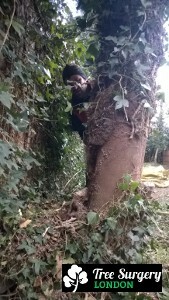 You can rely on the tree surgeons in London to make sure that the right work is done at the right time, and to ensure that pruned trees maintain an attractive appearance. Find out what past clients have to say about our work over on our customer reviews page. Call us 24/7 on 020 3404 3305. You’ll get straight through to our well informed and helpful office staff. Make a booking on the spot or arrange a quotation. To arrange a call from us at a time that’s convenient to you, simply go to our contact form. Fill in your details and state your preferred call back time.